No joke. I have the best friends. 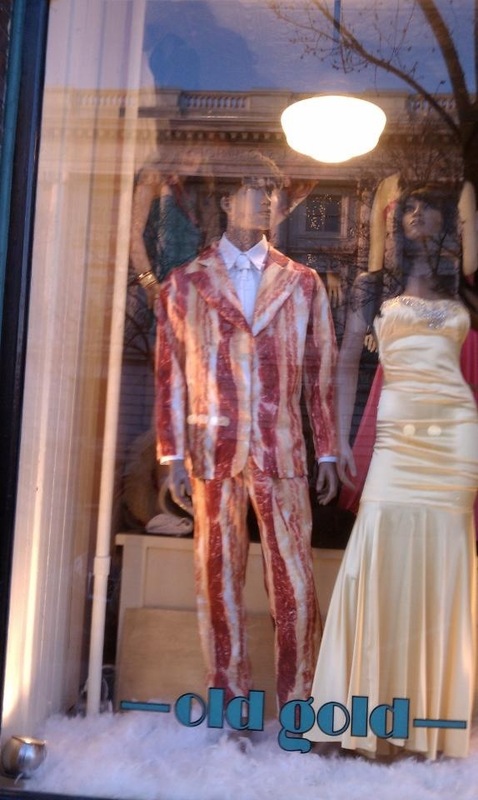 My BFF Tess was walking down Main Street today and saw this bacon suit on the window at Old Gold. Obvi Tess loves me and Texted the pic to me. I heart Tess. I heart bacon. This entry was posted in bacon and tagged bacon, friends, suit. Bookmark the permalink.